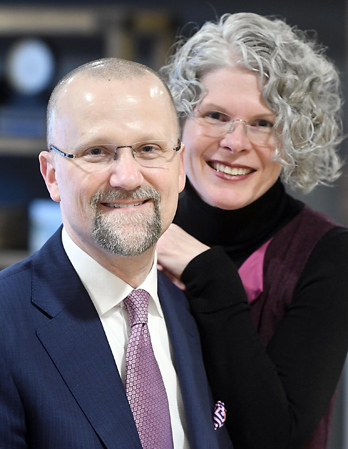 The Jonathan Zierdt Cancer Fund, a donor advised fund of the Mankato Area Foundation, was established in 2017 by Jonathan and Ginger Zierdt and a guiding coalition of engaged community leaders to build community cancer awareness and support. 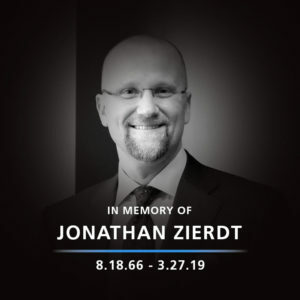 Mankato, MN (March 27, 2019) – The Jonathan Zierdt Cancer Fund (JZCF) is deeply saddened to announce our founder, and former CEO of Greater Mankato Growth, Jonathan Zierdt has passed away earlier today after a courageous, five-year battle with prostate cancer. All those involved with the JZCF mourn this tremendous loss. Cancer continues to be a leading cause of death in Minnesota and across the country. This is personal—it’s about friends, neighbors and family in Minnesota. One out of two Minnesotans will be diagnosed with cancer in their lifetime. Every day, more than three of our friends, neighbors or family members are diagnosed with cancer in south central Minnesota. Every day, more than one of our friends, neighbors or family members in south central Minnesota die from cancer. Early detection makes all the difference—survival rates in most cases are significantly higher. 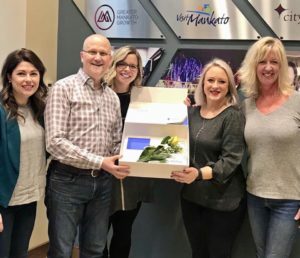 JZ Caring Box: The JZ Caring Box program donates specially designed care packages to our medical provider partners for distribution to patients diagnosed with cancer. 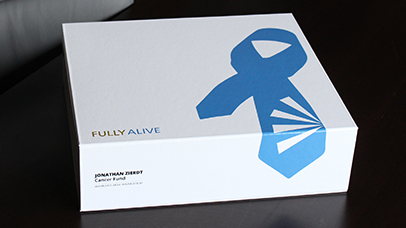 Each JZ Caring Box contains items to provide support and comfort, and access to information and resources, to cancer patients, their families and caregivers. Let's start building community cancer awareness today. 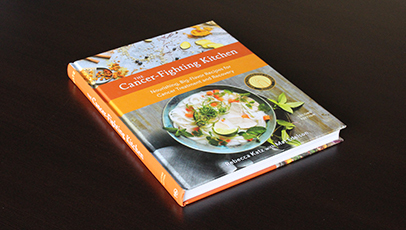 $5.00 of each item purchased is contributed to the Jonathan Zierdt Cancer Fund. 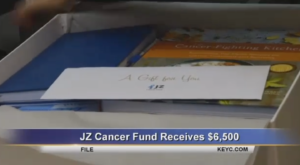 KEYC, Mankato, MN (December 11, 2018) – Mayo Clinic Health System has donated $6,500 to the Jonathan Zierdt Cancer Fund. 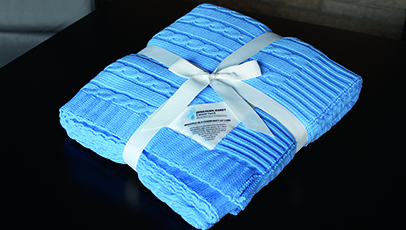 The gift will be used to fund the JZ Caring Box, which provides a specially designed care package for cancer patients, their families and caregivers. 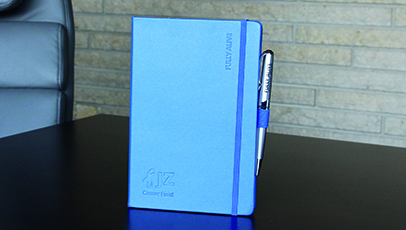 Each JZ Caring Box contains items to provide support and comfort, and access to information and resources. Since January, Mayo Clinic Health System has distributed nearly 800 Caring Boxes to area patients. Mankato Free Press, Mankato, MN (November 13, 2018) – The Jonathan Zierdt Cancer Fund received a $30,000 boost from the Mankato Clinic Foundation Tuesday. The grant, to be paid over five years, will support the fund's JZ Caring Box program and general operations. 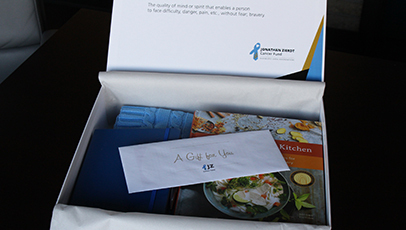 Newly diagnosed patients receive the boxes, which include various items to support and comfort them and information on resources for cancer patients. Jonathan was diagnosed with kidney and prostate cancer in November, 2013. While his kidney cancer has been in remission since the fall of 2014, the prostate cancer has been a much stronger foe. Since its onset, he has been in constant treatment including surgery, radiation and anti-hormone therapy, followed by additional radiation, chemotherapy, and ongoing anti-hormone therapy to treat metastatic prostate cancer in 2016. Throughout his journey Jonathan has been bolstered by remaining actively engaged in the community and his work, hoping as he says to “change the face of cancer.” Having received so much support during their cancer journey, this fund allows the greater community to engage with them in the fight against cancer.